How to draft a proper Contract Job Offer Letter to a potential employee? Download this Contract Job Offer Letter template that will perfectly suit your needs! Legal communication is essential to individuals and companies to ensure truthful, accurate information exchange and enable morally-correct decision making. This is important to give consideration on how to communicate and how to remain lawful in your day-to-day business activities. Therefore, communication in situations that involve legal complications, request extra attention. Using our easy-to-modify Contract Job Offer Letter helps to make a perfect document for any kind of personalized legal matter. Legal professionals are in need of templates more than any other industry. Our trustworthy legal templates are all drafted and screened by legal professionals that have experience in special law-related fields and are actively involved in legal issues around the topic. This Contract Job Offer Letter template covers the most important subjects and will help you to structure and communicate in a professional and legal way with those involved. Download this professional legal Contract Job Offer Letter template now and save yourself time, efforts and possibly reduce the lawyer-fees in order to become more successful. 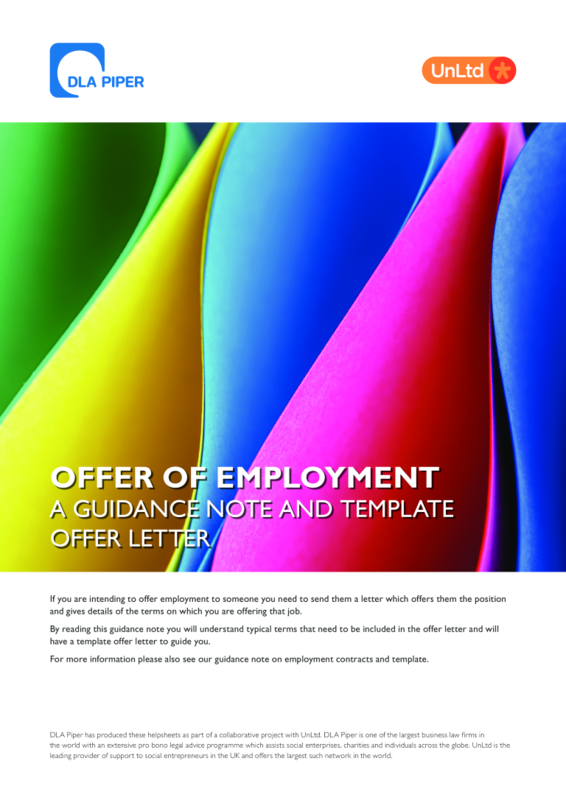 OFFER OF EMPLOYMENT A GUIDANCE NOTE AND TEMPLATE OFFER LETTER If you are intending to offer employment to someone you need to send them a letter which offers them the position and gives details of the terms on which you are offering that job.. Under the Access to Medical Reports Act 1988 (“AMRA”), an applicant does not have to consent to the employer’s request that their doctor provides a medical report, but if the applicant does, he or she is entitled to ask to see the report and ask for it to be changed (if they believe it is misleading) or withheld from the employer.. 3.6 OTHER OBLIGATIONS The following may also be relevant conditions, which an employer should consider including: ■■ entering a confidentiality agreement (although the Contract may effectively deal with this) ■■ being available to start the job on or before a given date ■■ concluding negotiation of the Contract on terms that the employer is happy with ■■ satisfactory credit checks ■■ criminal record and barring information checks ■■ approval by the Financial Conduct Authority ■■ shareholder or partnership approval and/or ■■ where the employee is to be a director, confirmation that he or she is not subject to restrictions preventing him or her from holding such office..